What you want to know in regard to your approach to purchasing a toothbrush is, well, pretty much everything. You have likely already gathered the basics from our Celina, TX team in terms of the types of bristles you need and more. However, just when you though you had the essentials figured out, you may have realized you have even more inquiries for us! Of course, we are always thrilled to offer more education when we see you! For now, however, let’s walk you through dental hygiene questions and the answers you really want to know. 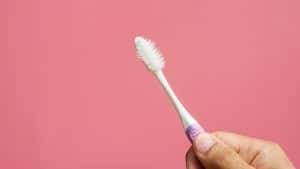 #1: Is An Expensive Toothbrush A Better Toothbrush? No! An expensive toothbrush is not necessarily going to be the better brush. Is it possible that the brush you find that you really want and that checks off all of the boxes might be the most expensive out the bunch that you’re considering? Sure. However, when you’re shopping for dental hygiene products, remember that you cannot always draw a direct correlation between higher price and high value. Instead, ask yourself whether it’s the right size, whether it has ADA acceptance, whether it has soft bristles, and whether it’s what you want to use as you prevent problems like decay! #2: Is An Electric Toothbrush Always The Best Choice? 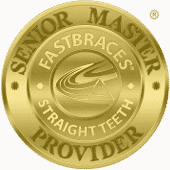 When you follow our suggestions for technique successfully, you can most certainly practice excellent and effective home dental care with a manual toothbrush. If you are doing your best but your use of a manual brush is not providing you with results or you have physical challenges, then it may be time to try electric. Electric brushes do provide many more strokes every second and every minute than you can produce with a manual approach, so this may be something that will benefit you! #3: Is My Toothbrush Telling Me Something Is Wrong? Our team reminds you that if you’re too forceful with dental hygiene, you can damage your gums and your teeth. So, watch for a brush that looks very worn not long after you begin using it. If this happens, brush more gently to protect your smile. Remember that when you come in for your dental cleanings and your dental checkups with us that this is not only time for preventive care but also prime time to bring up any questions you have for our team! Get the information and treatment you need in Celina, TX by contacting Celina Family Dentistry to schedule a visit today at (214) 851-0130.